In the past few weeks, I bought a few fashion and beauty things. Some of them were sales. Other items were new collection. 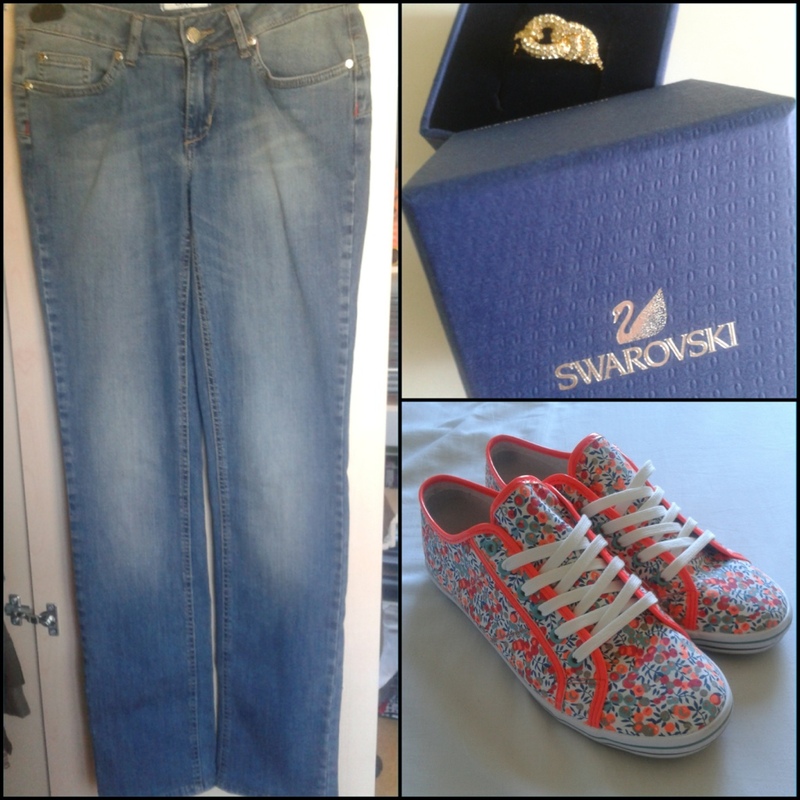 For fashion items I got a golden ring from Swarovski at Maasmechelen village (75% discount). I also got a pair of jeans from Liu Jo when I went to Ghent (30% discount). A few weeks ago I also bought a more sportive pair of shoes. They are by the brand Bluehaven (20% discount), for these I got inspired by Keds, but because I couldn’t find those, I wanted to buy something a bit similar. I like that they are so colorful. I also got a few items that weren’t in sale. 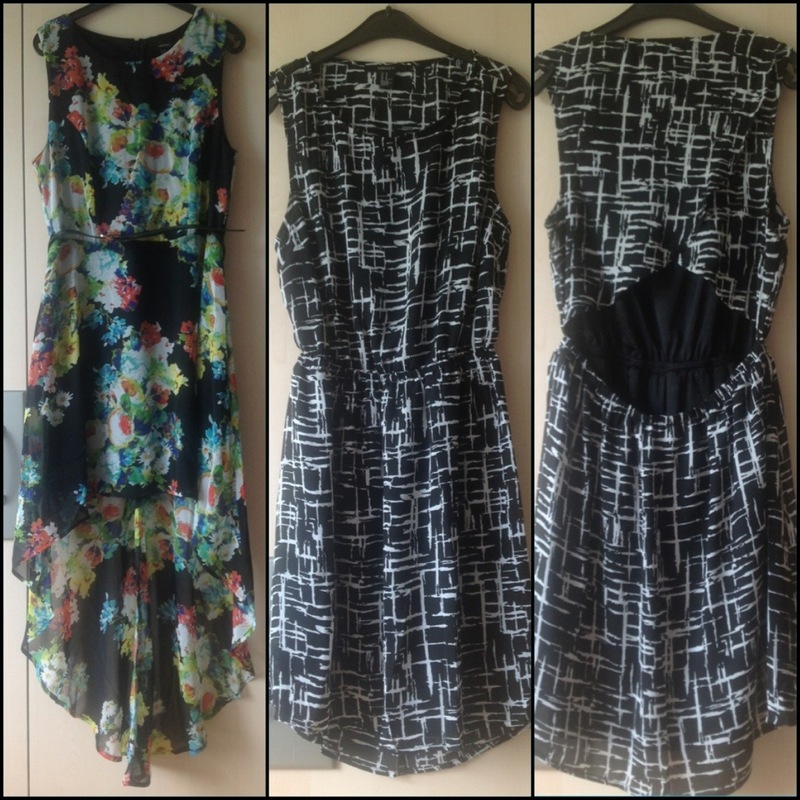 I got 2 dresses at Forever21. I just went in there not searching for anything particular and I found 2 nice dresses. The first dress is a high-low one. It’s a black one with a flower print. The second one I got is a black and white one with a cutout at the back. I tried both of them on and I realy liked them, and the best part, they are so inexpensive. The last thing I got were sandals. Normaly I’m not the biggest fan, but I saw them and I liked them and couldn’t leave them because they were only 15€. Not really a valid excuse to buy them, but hey, who doesn’t buy stuff just because you liked it. 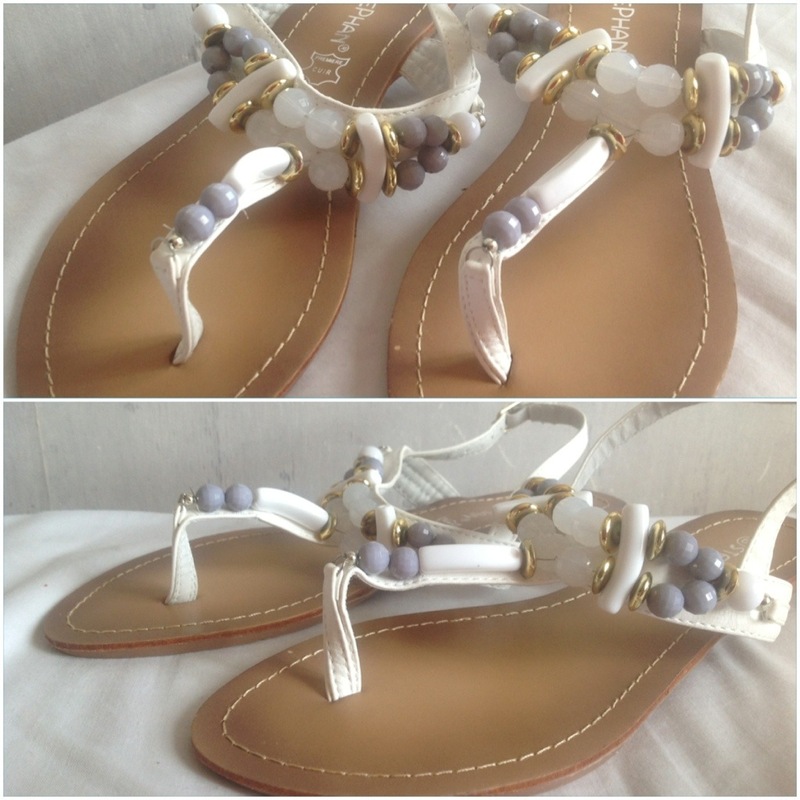 It are white sandels with some beads on them. I got those at a local shop during the ‘Gentse Feesten’. I also got a few beauty items. Well not really a few, just 2 things. I got two of the Rimmel Apocalips lip lacquers. Mine are in the colors Stellar and Apocaliptic. 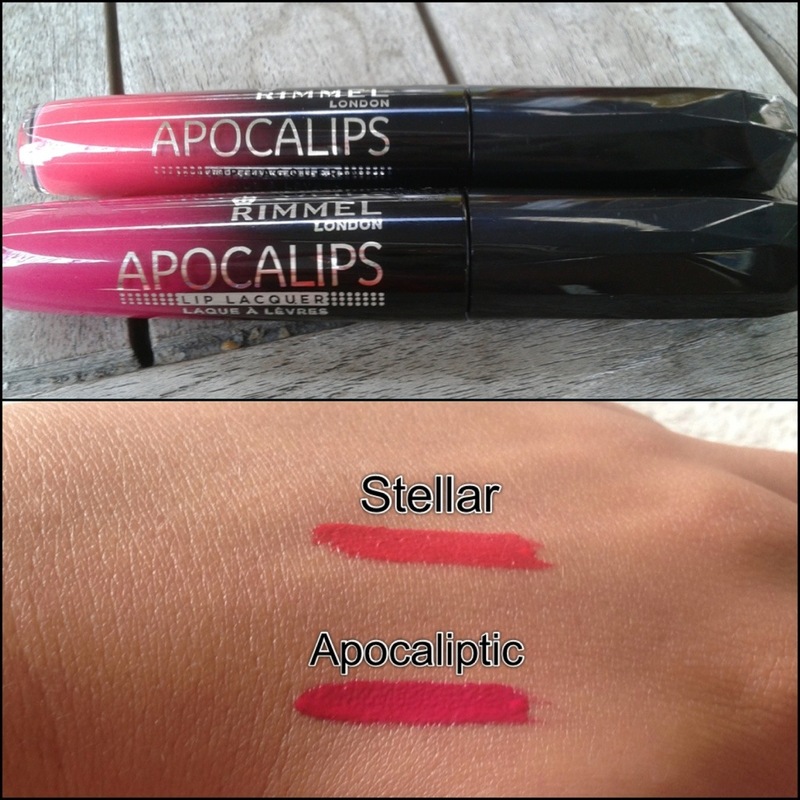 The color Stellar is more of a bright pink one, while Apocaliptic tends more to the fuchsia side. They are one of the best lip lacquers I tried so far. They stay on for quite a while even when you eat or drink they tend to stay on. And the color payoff is phenomenal. A small amount goes a long way with these. I got mine at Kruidvat for 12€ for 2 (normally they sell for 11€ per piece). If you are looking for drugstore brands, be sure to check out Kruidvat. They have some very interesting discounts at times. This entry was posted in beauty, fashion, Haul and tagged apocalips, beauty, bluehaven, dresses, Fashion, forever21, ghent, haul, jeans, liu jo, maasmechelen, rimmel, ring, sandals, shoes, swarovski by missnathaliexo. Bookmark the permalink.